Alex Jones, the conspiracy theorist and supporter/confidant of Donald Trump, has posted on his website [Infowars] the claim that the November 4 demonstrations initiated by the organization RefuseFascism.org are part of a move to launch a civil war in the U.S. Jones cites unverified video footage of supposed “antifa” activists talking about how to use knives, and then flashes to the cover of the 2005 pamphlet The Coming Civil War and Repolarization for Revolution in the Present Era by Bob Avakian, the Chairman of the Revolutionary Communist Party. This false claim has been repeated on several other right-wing conservative websites and has unleashed a torrent of threats online against members and supporters of the RCP, RefuseFascism.org, and other individuals. This statement pushed by Jones is a lie. 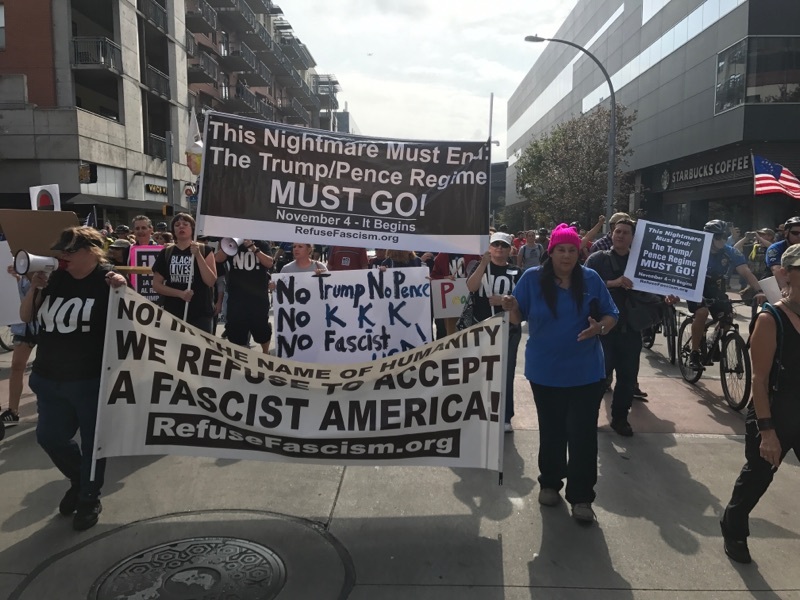 What is being called for on November 4 by RefuseFascism.org is the beginning of mass nonviolent protests under the unifying slogan: This Nightmare Must End: We REFUSE to Accept a Fascist America. A major point of this movement is precisely to PREVENT the kind of violent legal and extralegal repression that characterizes fascist regimes—the kind of thing which has already happened in Charlottesvile, as well as elsewhere! 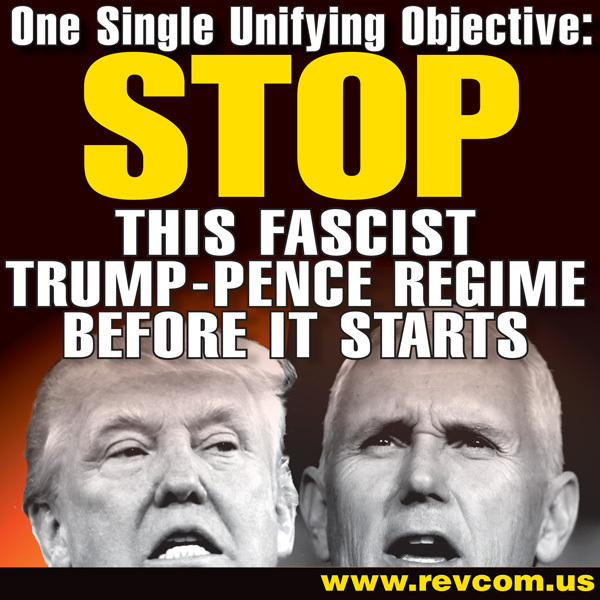 Driving out this fascist regime through these massive nonviolent protests, starting with thousands and ultimately actively involving millions, and thereby creating a situation akin to the protests that took place in late 2016 into early 2017 in South Korea, is the single, unifying objective of every organization and individual in Refuse Fascism. 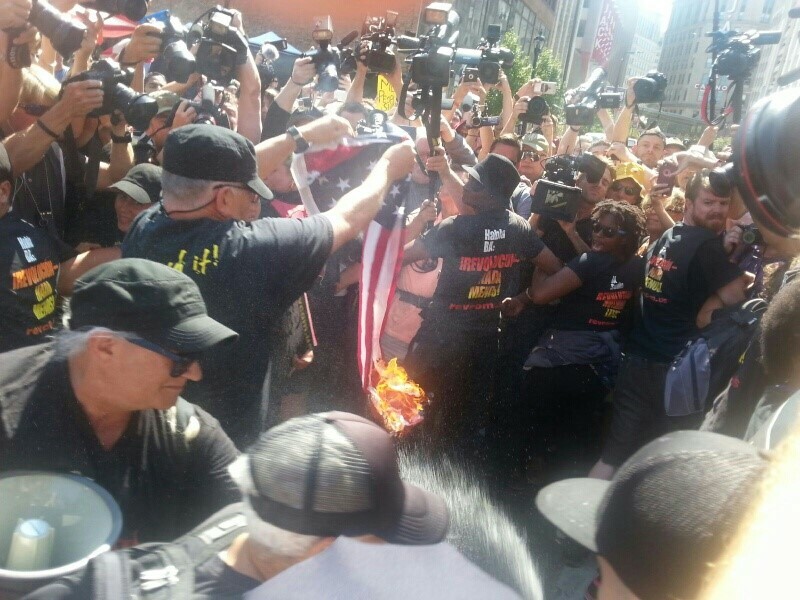 People and groups within Refuse Fascism have many different ideologies, programs, and proposals about the future, including about what replaces the Trump/Pence administration. But the demonstrations set to begin on the 4th have a clear objective and a clear character and it is not “civil war”! 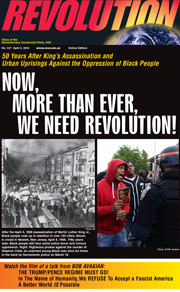 People should read the pamphlet The Coming Civil War and Repolarization for Revolution in the Present Era for themselves. 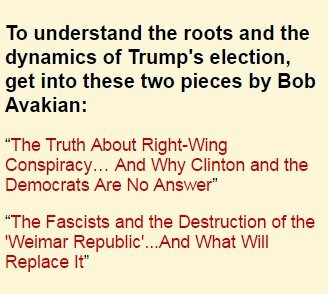 It discusses moves being made under the George W. Bush regime at that time toward consolidating a Christian fascist state, how the forces behind it were aiming the edge of their spearpoint against liberal Democrats, and how this must not be allowed to go down like that but instead has to be repolarized in a revolutionary direction. 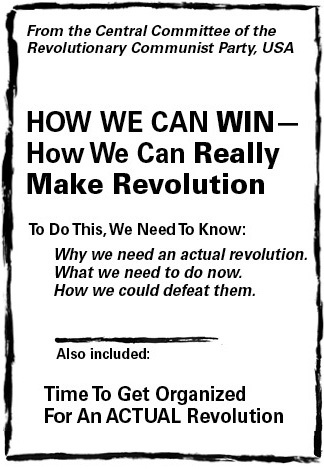 Bob Avakian and the RCP advocate and organize for revolution when specific historical conditions would make that possible, while uniting with Refuse Fascism’s more immediate aim of driving out the Trump/Pence regime and preventing the consolidation of fascism; we firmly adhere to Refuse Fascism’s call for mass nonviolent demonstrations to begin on November 4. 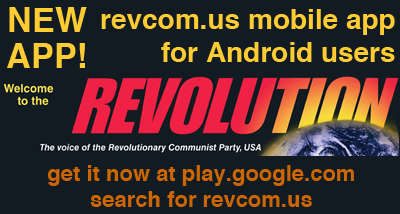 People can and should go to the website revcom.us to find out more about Avakian’s new communism, the Constitution that would guide a new socialist society, and the strategy for revolution. We welcome discussion and debate about what should replace not only this regime, but the system that gave rise to it. But right now, again, the focus of all political forces and people of good will must be to politically drive out this regime. The slanders of an Alex Jones must NOT be allowed to divide us.